PHUKET: A total of 168 boats, dinghies and windsurfers from 35 countries will race in the 26th Phuket King’s Cup Regatta this week, one of Asia’s leading yachting events. 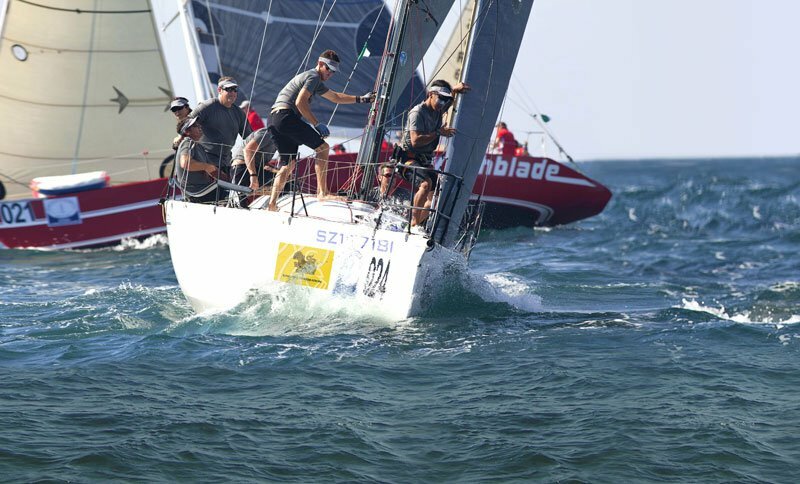 The largest vessels include 78 keelboats and multihulls competing over five days, from Monday December 3 to Saturday December 8, with a rest day on December 6. The full complement of classes for the 2012 race year include IRC Zero (international 'Grand Prix' boats), the highly competitive IRC1, IRC2, IRC3, Premier, Sport Boats, Modern Classic, Bareboat Charter, Multihull, Firefly 850 Sports, Classic and Cruising Class. Windsurfing and dinghy racing also feature as competitive classes in this year’s regatta: 40 windsurfers and 50 dinghies are racing over four days of the regatta week, from Sunday December 2 to Wednesday December 5. The windsurfing competition features some of Thailand’s most famous windsurfing stars, including Ek Boonsawad and Siriporn “Dao” Kaewduanggam. Ek recently represented Thailand at the 2012 London Olympics, while Dao won the 2010 Youth Olympics in Singapore. Other windsurfing competitors include the women’s 2012 Olympic Gold medallist Marina Alabau Neira from Spain. The inclusion of dinghy racing in the Phuket King’s Cup Regatta this year recognises the role of dinghy sailing in encouraging more young sailors to take up the sport in Thailand. The official opening for this year’s regatta took place at Kata Beach Resort & Spa on Sunday, and was attended by VIPs and yacht racers from around the world. “We are very proud that the Phuket King’s Cup Regatta is able to take a regional role in contributing to the growth of the Thai sailing community and the yachting industry in Thailand, reinforcing its position as one of the world’s premier sailing destinations,” said Kevin Whitcraft, President of the Phuket King’s Cup Regatta Organising Committee. One of the longest running international sporting events in Phuket, the King’s Cup Regatta is is estimated by its organisers to generate up to B300 million each year for the local economy, including the surge in custom for Phuket’s hotels and restaurants before, during and after Regatta Week. The regatta is also famed for its series of beachside parties, which can attract over 1,500 party-goers a night.